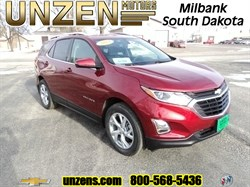 Stock# 7052 NEW 2018 Buick Encore | Milbank, South Dakota 57252 | Unzen Motors Inc. Step into the new 2018 Encore compact luxury SUV, and you’ll find premium materials, sculpted design, and a quiet, spacious cabin that’s as stylish as it is welcoming. 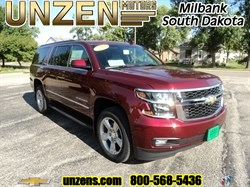 With comfortable seating for your friends to easy and flexible loading of its spacious cargo area, you’ll be ready for anything life throws at you in the Encore. Control your media with ease in the new Encore with the beautiful 8-inch diagonal color touch screen. The available built-in OnStar 4G LTE Wi-Fi Hotspot† lets you stay connected, even on the go. Use your voice to play your favorite music on Apple CarPlay† or make hands-free calls on the Buick Infotainment† system with compatible smartphone integration. Enjoy quiet drives thanks to Buick QuietTuning™ and Active Noise Cancellation technologies. The Encore compact luxury SUV, with a 2018 5-star Overall Vehicle Score for safety†, helps you stay safe. From 10 standard airbags† to available advanced safety technologies, the Encore is engineered with safety in mind. From tight spaces to crowded streets, the maneuverable Encore compact SUV fits in perfectly while turning heads wherever it goes. The beautifully sculpted front fascia and grille flow smoothly to the rear of the compact SUV, giving it a sleek, sculpted look. The Buick tri-color shield and horizontal wings demand a second look. No matter where you set out in the Encore, you’ll arrive in style. 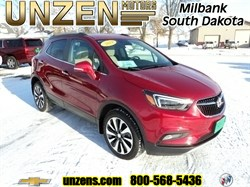 Hello, I would like more information about the 2018 Buick Encore, stock# 7052. 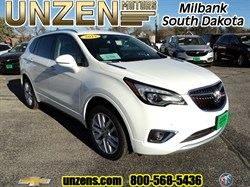 Hello, I would like to see more pictures of the 2018 Buick Encore, stock# 7052.